SAN JUAN, PUERTO RICO—More than a year after the U.S. territory was left devastated in the wake of Hurricane Maria, experts say that the island of Puerto Rico, along with the 3.7 million U.S. citizens who live there, will remain extremely vulnerable to U.S. governments in the foreseeable future. “This is the worst government we’ve seen strike Puerto Rico in years, and recovery efforts have been hampered by the sheer force with which the system hit,” said San Juan-based disaster management specialist Gabriel Santos, who noted that the nearly 3,000 deaths attributed to damage from the Trump administration would almost certainly increase if the territory experiences another wave of catastrophic leadership. 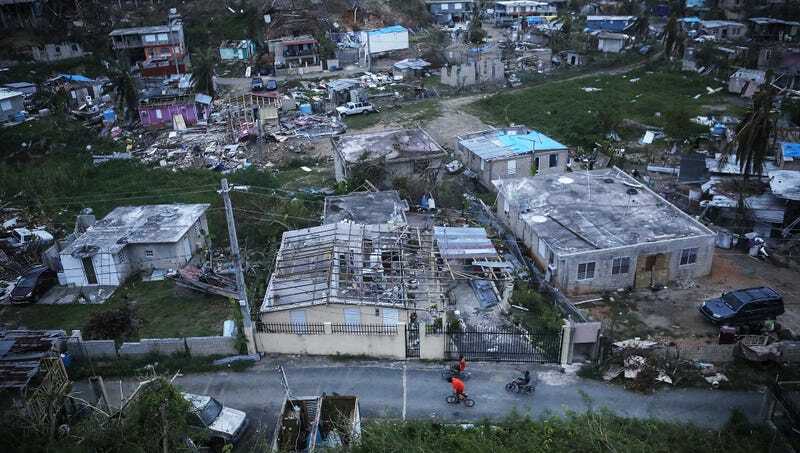 “Our island lacks the resources and funds to protect its people and infrastructure if it once again finds itself in the path of the U.S. government. One more blow from a federal government of this magnitude, and Puerto Rico may never recover.” Santos added that the turbulent changes in the nation’s volatile political climate suggest the island will only face bigger, more brutal governments in the future.